The Major Case Squad reports the details of a bank robbery that occurred on Tuesday, October 13, 2015 at 9:42 a.m. in Roslyn Heights. 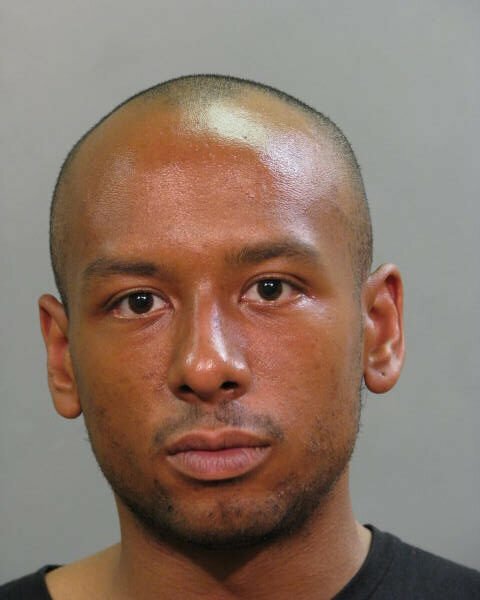 Update - October 15, 2015 - The Major Case Bureau reports the arrest of Darren Lindo, 31, of Roslyn Heights, on Wednesday, 10/14/15, in connection with the above listed robbery. Lindo is being charged with Robbery 3rd Degree and will be arraigned on Thursday, 10/15/15 in First District Court, Hempstead. Roslyn Heights, NY - October 13, 2015 - The Major Case Squad reports the details of a bank robbery that occurred on Tuesday, October 13, 2015 at 9:42 a.m. in Roslyn Heights. According to Robbery Squad detectives, a male black subject entered the First National Bank of Long Island located at 130 Mineola Avenue approached a teller and demanded money. The subject made a threat of having a gun, but none was seen. He is described as being in his thirties, 5’11” tall, wearing a gray hooded sweatshirt. He fled on foot eastbound on Villa Place with an undetermined amount of cash. There were 5 employees and 1 customer in the bank at the time of the robbery. No injuries reported. Subject: LongIsland.com - Your Name sent you Article details of "UPDATE - NCPD Seeking Man Responsible for Bank Robbery in Roslyn Heights"